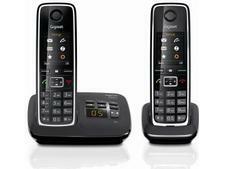 Top Five Easy-To-Use Cordless Phones - Which? These practical home phones will make your life easier, thanks to handy features such as extra-loud ringtones, sizeable screens and tactile buttons. Despite the meteoric rise of mobile phones, the trusty home handset still plays an important part in our lives. A cordless home phone is not as prone to breaking up or dropping calls compared with a mobile or smartphone, and oftentimes it's significantly cheaper to make calls, too. Approximately 40% of Which? members speak on their cordless phone every day, according to our April 2017 survey. Something that gets so much daily usage must be simple and straightforward to use, especially if you have dexterity issues or problems with your sight or hearing. 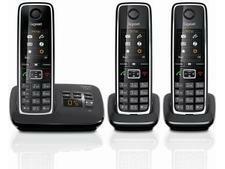 The five cordless phones we've highlighted below have a number of useful and practical features which make them particularly easy to use, including high-quality LCD screens, ample buttons and extra-loud ringtones. Underneath our top picks, you'll see three landline phones that are the polar opposite and we'd recommend you avoid these poorly designed cordless phones, no matter how little they cost. Unlike other cordless phones we’ve tested, this home phone has a cordless handset and a corded, traditional-looking phone with an answering machine. Setting them up is straightforward as the menus are simple to navigate, the screen is easy to read and the buttons on the handset are illuminated. Call sound quality is impressive, too. Dialling is a doddle with this cordless phone, due to its extra-large, tactile buttons and sizeable screen, which has a good contrast between the black text and orange background. It’s simple to set up, the ring volume is loud and this home phone is compatible with digital hearing aids. Calls sound clear, but it also has an amplify button to boost the volume when you need it. The horizontal design of this house phone means that placing the handset back in the base station is very easy, especially compared with phones that sit vertically. You can enlarge the size and visibility of the font on the colour screen, and the buttons are illuminated, so you'll have no trouble dialling numbers even in a dark room. This phone sailed through our ease of use tests thanks to it's chunky, well-labelled and illuminated buttons and large, clear screen that's easy to read in all light conditions. It’s not only very easy to use, but it has handy call blocking features and a wide range which should cover most large properties. Calls are particularly clear, so you won't have trouble hearing the voice at the other end of the line. The ring volume is strident so you won’t miss a call, and it comes with a detailed manual, a large screen with a good contrast and easy-to-follow voice instructions to assist with setting it up. It also has a 'one-touch' call-blocking button to end a call and add the number to your blocked list. Not found the product for you? 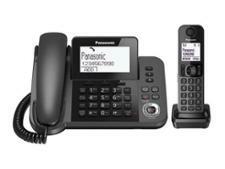 Browse all our cordless phone reviews. At a glance, many cordless phones look the same. But our testing has shown huge differences between landline handsets and how easy they are to use. If you have large hands or dexterity issues, you may struggle to comfortably hold a compact cordless phone, and have difficulty dialling if the buttons are cramped and not well illuminated. In our reviews, we not only assess the design of each cordless phone, but also the range and accessibility of its features, to fully assess it's ease of use and whether it's worth consideration. 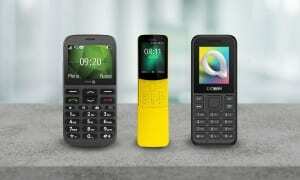 So you don't have to take a gamble on which is the best cordless phone for you, but know for certain it's the right choice. This home phone gets a low score for ease of use, mainly because it’s hamstrung by its terrible screen. 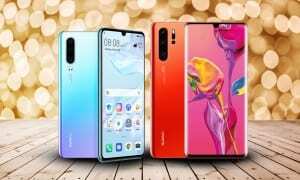 It has a 14-segment display like a calculator, making it tough to set up and use the phone as you can’t easily read the names of your contacts or distinguish the numbers on screen. The buttons aren’t illuminated and it’s not hearing-aid compatible either. This cordless phone was frustrating to set up as it only comes with a brief leaflet guide. It also has confusing menus as well as awkwardly cramped buttons. The ring volume is low, the display is hard to read and the call sound quality is bad. The answering machine can only hold 15 minutes of messages, which is significantly less than most other cordless phones. Large hands will struggle to use this landline phone because the handset is so compact and the buttons are very cramped. Unsurprisingly, the screen is also small, and it displays words and numbers in a calculator-style that is challenging to read. The sound quality is mediocre, making it hard to hear and be heard on the other end of the line. Beyond the standard cordless phone considerations - crisp sound quality and a good-sized range - there are other things to look for when buying a cordless phone. Below are the key ease-of-use features that will ensure your handset is helpful, rather than a hindrance. Many cordless phones have extra-large keys that are designed to be tactile and easy to press - very useful when inputting long phone numbers or navigating call-centre menu options. Some even have 'talking' buttons that read out numbers as you press them, so you can tell whether you've mis-dialled, and illuminated buttons which are helpful when dialling in dim or poor light. All phones can be used with a hearing aid, but their performance can vary. If you have a hearing aid, it's best to go for a phone that's specifically 'hearing-aid compatible'. Also, look for ones that get a high M/T rating (microphone/telecoil coupling) - M1 or T1 being poor, and M4 or T4 being excellent. Screens can vary on cordless phones, but the majority are around 1.5 to 2 inches in size, and capable of displaying around six lines of text. This means that it should be easy for you to scroll through your phonebook to find numbers of family or friends. 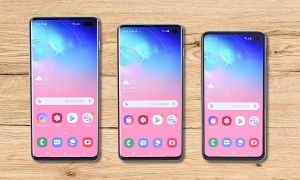 Some handsets also have adjustable font sizes, so you can choose to increase the size of letters and numbers to a level which is comfortable for you to read. 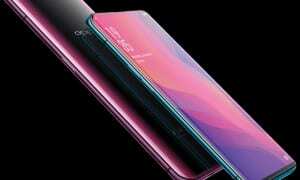 Cheaper phones will more often than not have a monochrome, calculator-like display, whereas pricier models will offer a colour LCD screen which is much easier to read at a glance. Specially amplified phones are handy if you find most phones too quiet and often miss incoming calls. Many also have a volume-boost button, which will amplify the call as well, so it's easier to hear what's being said. This feature enables your cordless phone to speak the name of the caller, as well as display the name and number on the phone. You can then choose which calls you answer and which calls are sent straight to the answer machine (if the phone has one). Call-blocking cordless phones have a range of call-blocking options. You can choose to stop specific numbers, strings of numbers or categories of calls - all international and withheld numbers, for example. Some phones now have a 'one-touch' call-blocking button, so if an unwanted sales call does get through you can hang up immediately and have the number saved onto your blocked list to prevent a repeat occurrence. Setting up the answering machine can be tricky, but it's vastly easier if a cordless phone has voice guidance to direct you through the process. Having vital numbers saved to speed dial for one-button dialling is incredibly useful in an emergency, and it's also timesaving if you regularly speak to a particular person as you won't have to dial the full number every time.